Jack and his dad are runaways. Jack’s father recently turned whistleblower, revealing the truth about the illicit dealings of some powerful people. Realising that he and Jack might be in danger, Dad drives them to a remote shooting lodge in the Scottish Highlands, where they intend to lay low. In the cornfield beside the lodge stands a scarecrow. 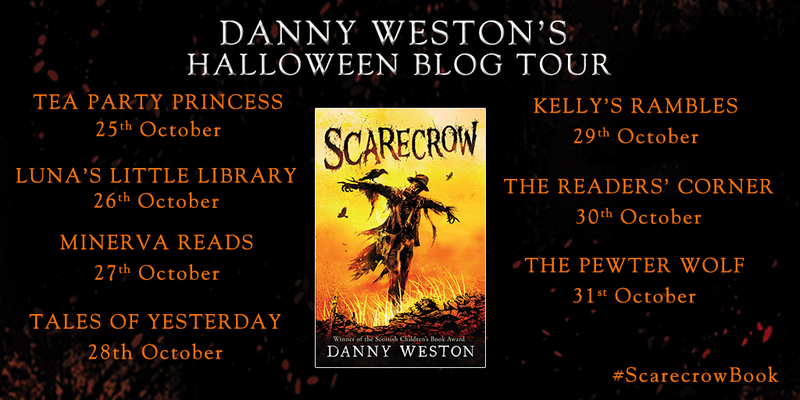 When Jack witnesses something incredible, he begins to realise that it is no ordinary scarecrow – it is alive, hungry and fuelled by rage. 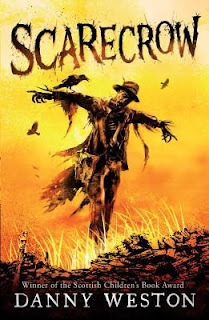 And when Dad’s enemies begin to converge on the lodge, the scarecrow might just turn out to be Jack’s best hope of survival. 5 Words: Family, honour, friendship, protection, tradition. Right from the start, the very tone of the writing sets the scene and starts building the spooky atmosphere. I loved the sense of foreboding. Coming to the characters, I loved Philbert, the scarecrow. I loved his humour, how he accepted his lot and got on with it. And he was creepy. They're something about scarecrows and dolls and mannequins that creep me right out, and Philbert was no exception. But he was strangely loveable, and with his gruff accent reminding me a lot of my dad, I loved reading about him. Even though he was so dark. And rather murderous. "Philbert, this could be awkward." While the story was a little spooky, mostly due to the atmosphere (but also Philbert because scarecrow), it was also action-filled. The lack of technology gives the story a timeless feel, but is explained in such a way as to make it not only believable, but natural. I loved how Jack hated not having any of his gadgets and lamented the loss of his mobile phone. It starts slowly, and then builds and builds, and I could not put it down. This was a great read, fast paced and gripping. I enjoyed it myself immensely. It’s my new home. I moved here a year ago and I’m gradually exploring more and more of it. I’m slowly discovering some amazing parts of this incredible country and getting inspiration for more books! Scotland has some of the creepiest myths and legends. Did you ever hear of the Nuckelavee? A creature supposed to live far below the ground, rising to the surface from time to time to prey upon the unwary… You can bet I’m going to use that in a story! Did you know that hundreds of years ago, newly planted crops in Scotland would be consecrated with bull’s blood in order to bring a good harvest? That was one of my starting points for Scarecrow. And did you know that back then, a scarecrow had more to do than just scare the birds? It was also set to guard the farmer’s family and friends from harm. How can I not write about things like that? The Scottish Book Trust are incredibly supportive to writers like me. In 2016, my novel The Piper won the Scottish Children’s Book Award – an The Haunting of Jessop Rise has been shortlisted for the Scottish Teen Book prize. Neither book is set in Scotland, so I thought it was time I did something about it! If you were going to write a book, where would you set it? I've always found them creepy! It's the resemblance to people... Eek! 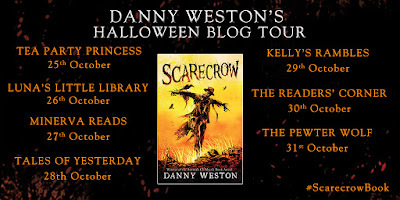 Hi, this sounds like a great interesting read I am intrigued by it a perfect read for Halloween, I need to give it a try. Thanks for sharing. ‘Fast paced and gripping’ - This sounds like the perfect book for me, and also very fitting for the time of year! I’ll definitely be checking this out.. I always heard spooky things about Scotland. I guess its a great place to get your imagination working. Setting is so important in writing! 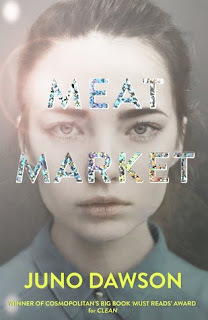 Wow,That quote is so amazing.That book looks really interesting, I think i should definitely read it.I am totally in love with this books cover!